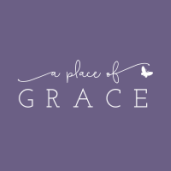 Like A Place of Grace on Facebook! Follow A Place of Grace on Instagram! Get our free monthly Grace Grams E-News! ​Volume 1 Number 1: What Is A Place of Grace? ​Volume 1 Number 3: What is Reiki? If you have benefited from this ministry, click the button below to make an online offering to A Place of Grace. Note that A Place of Grace is an offering-based business. Your offering is not tax-deductible. A Place of Grace is portable! Non-contracted retreats are held in partnership with local businesses and churches. A Place of Grace will come to you for contracted retreats!